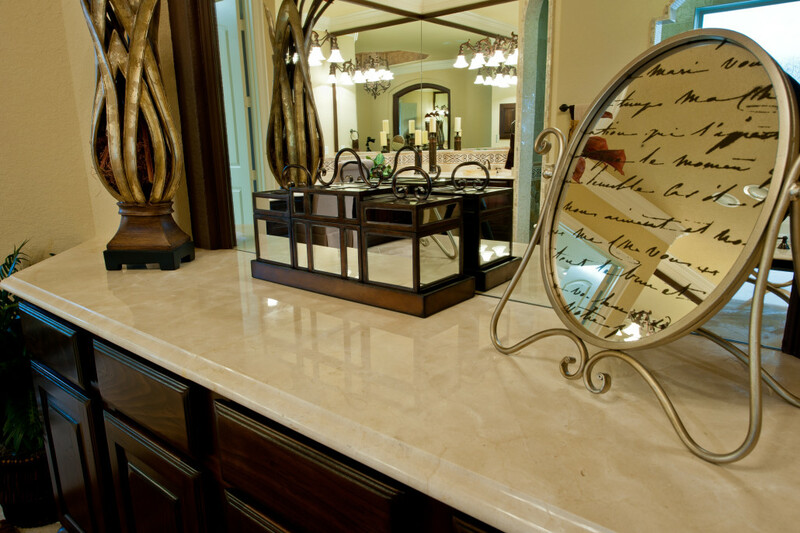 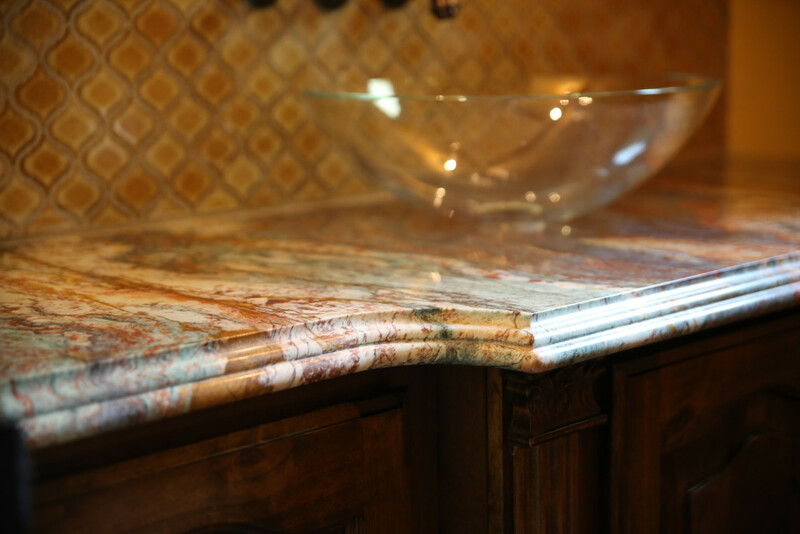 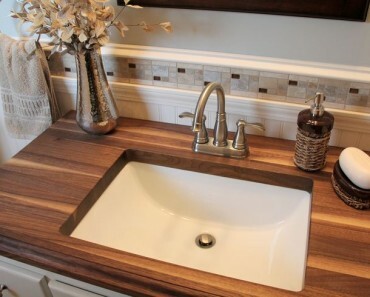 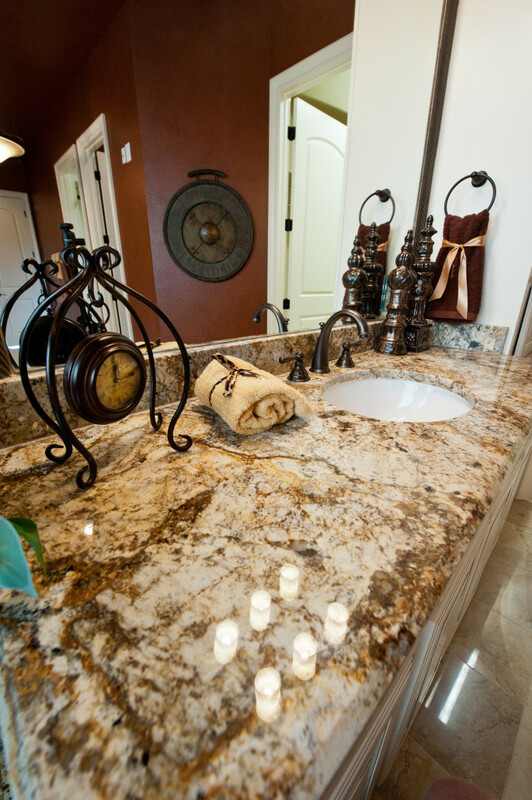 Kitchens are not the only place for stone countertops. 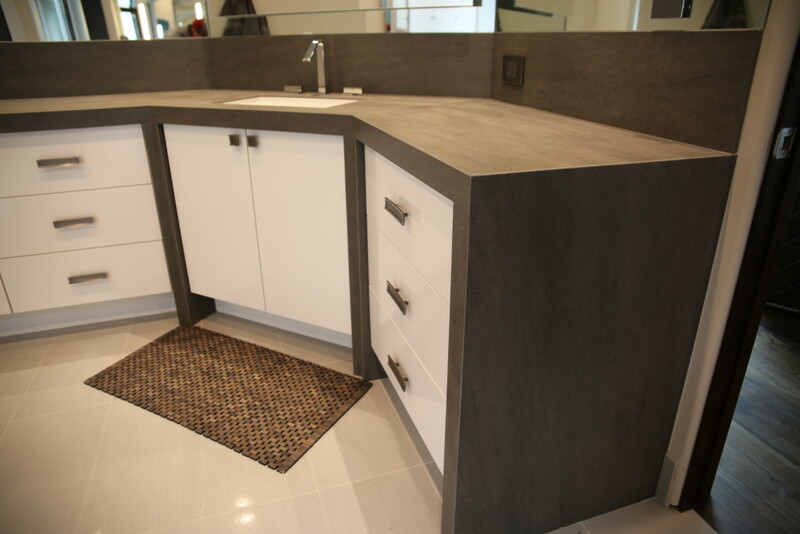 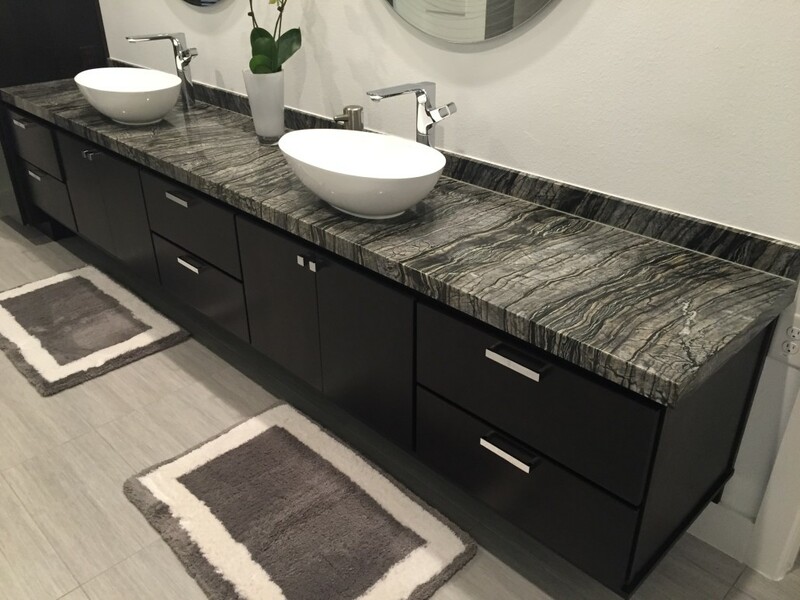 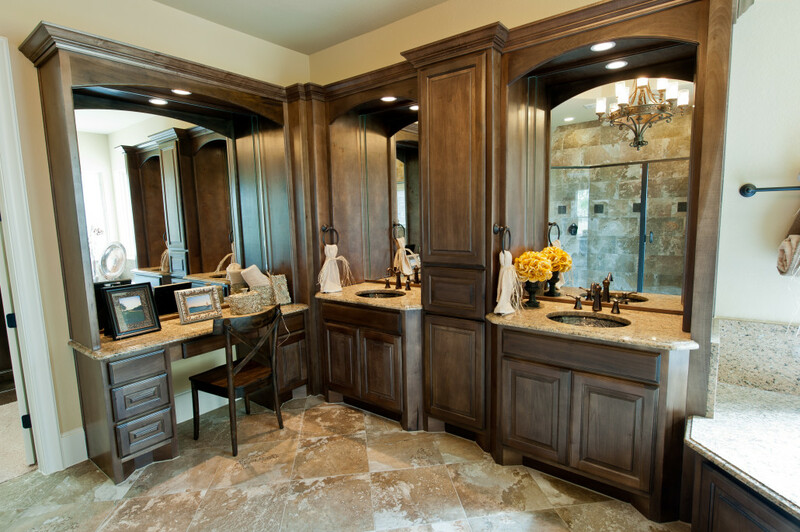 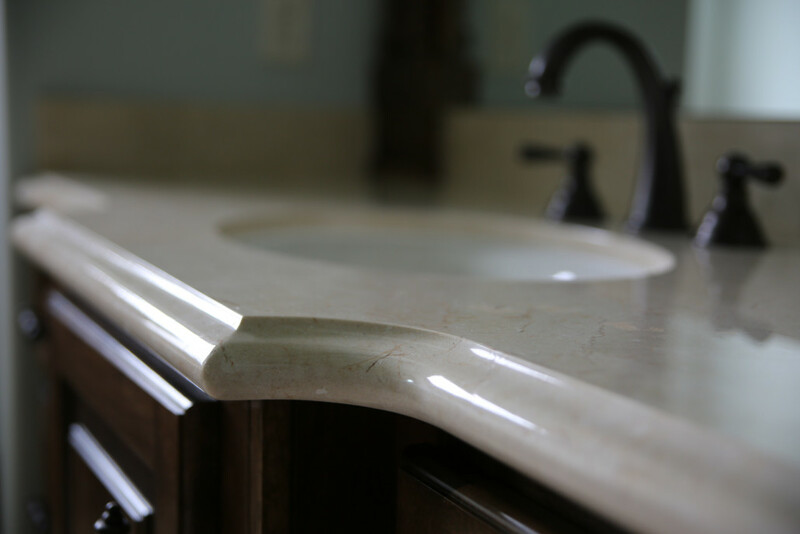 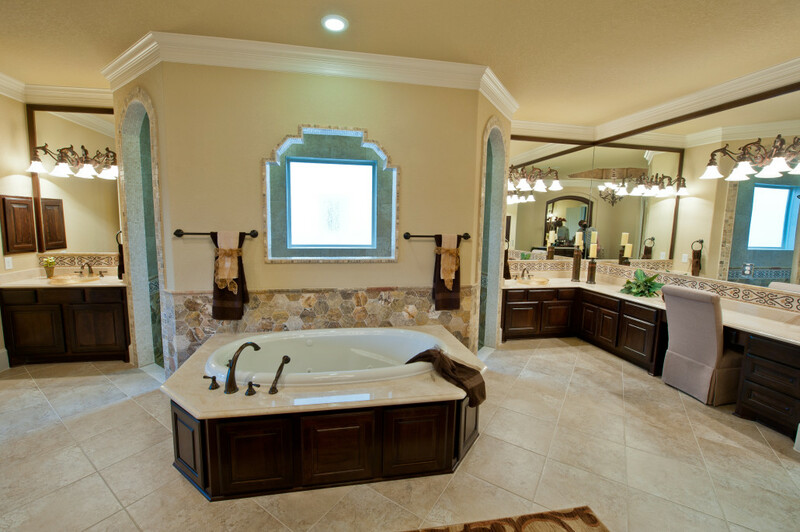 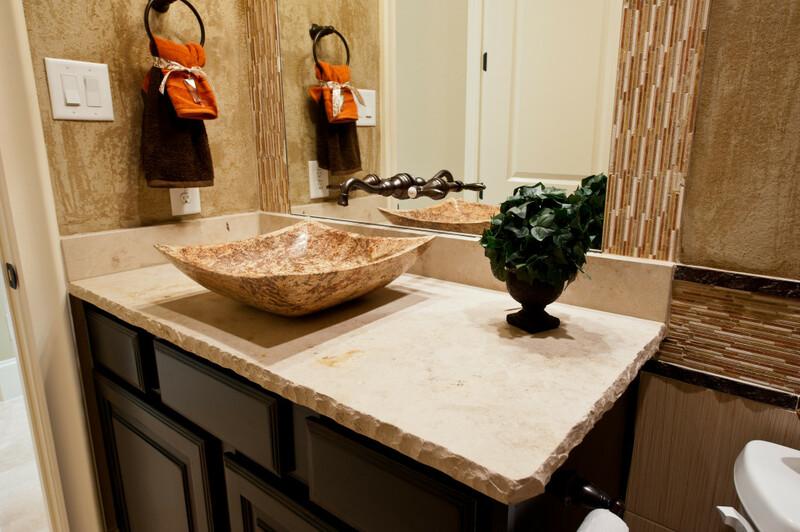 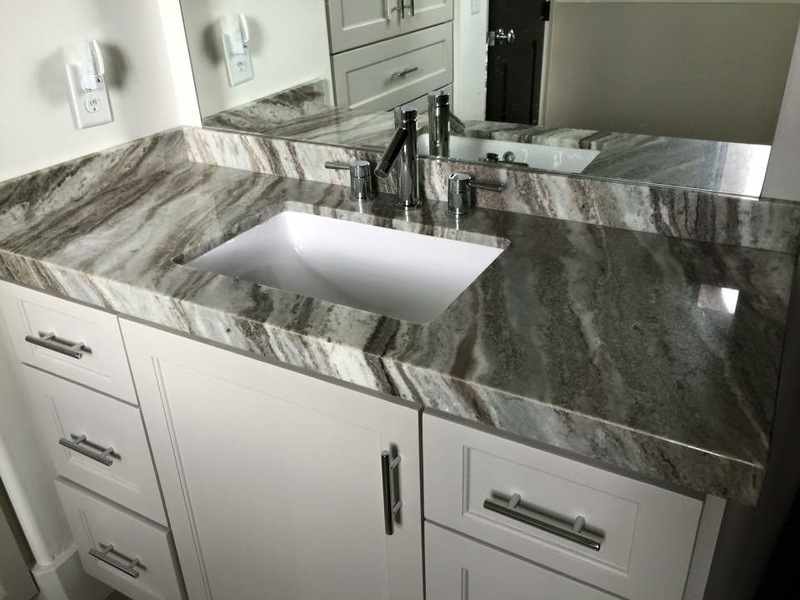 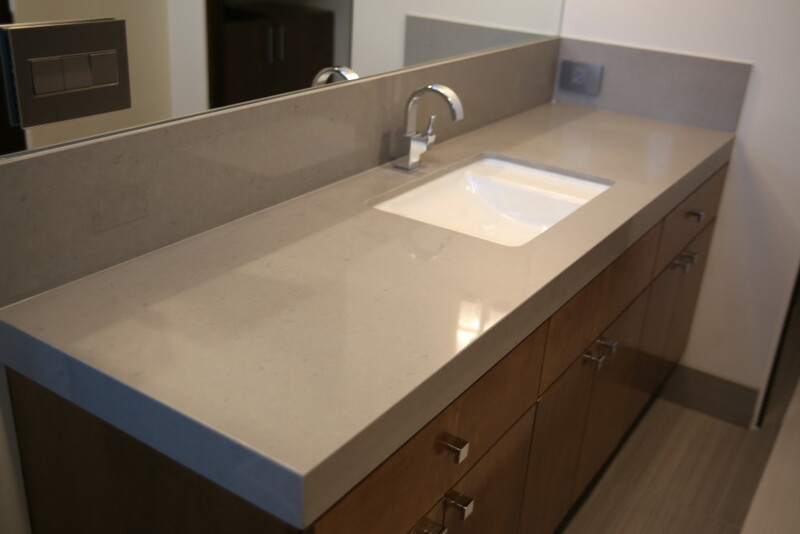 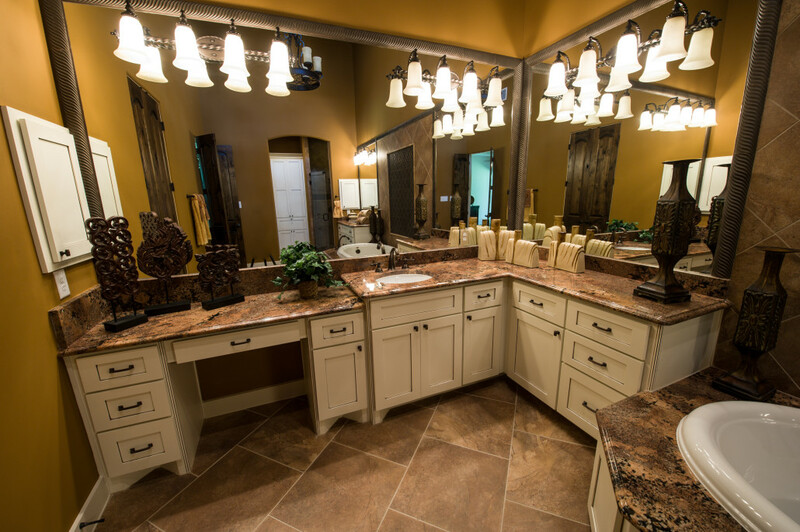 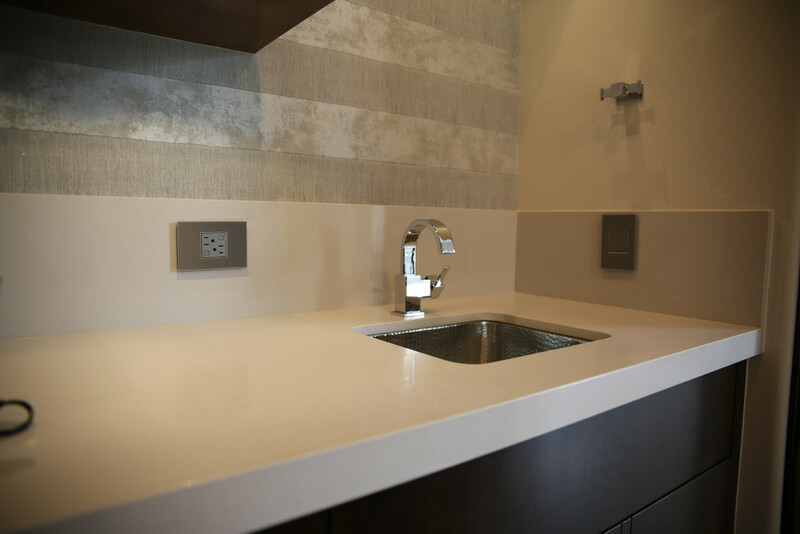 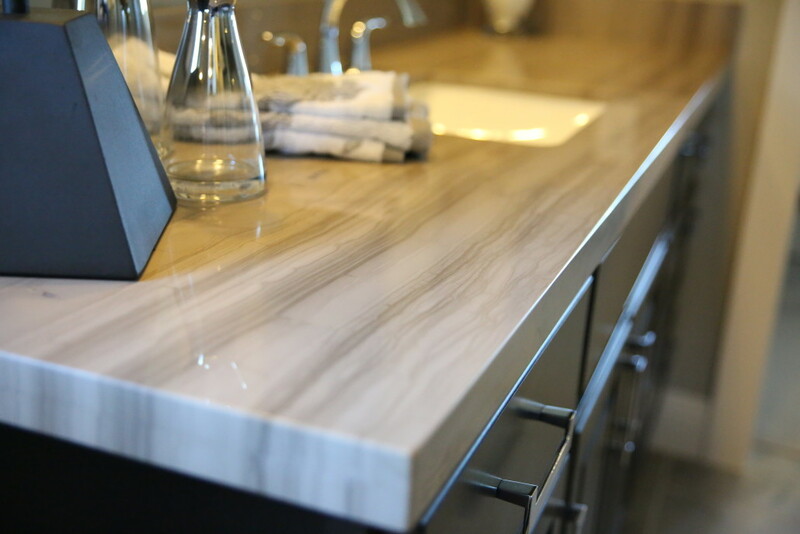 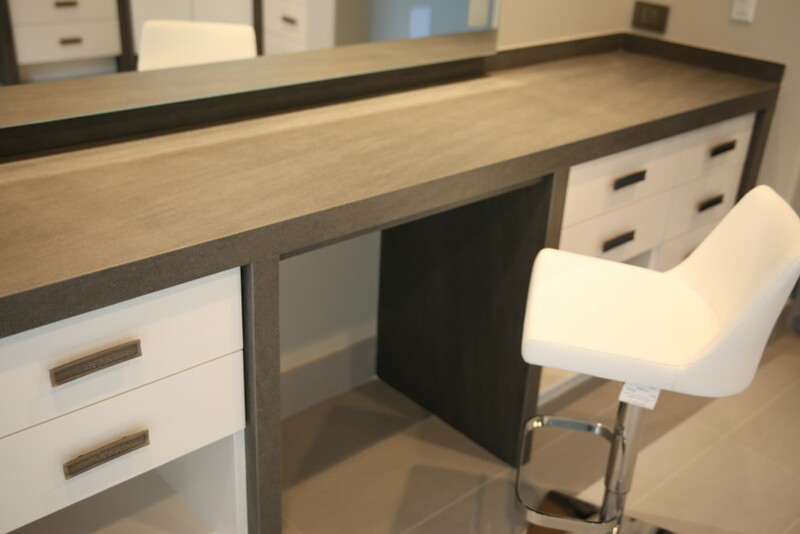 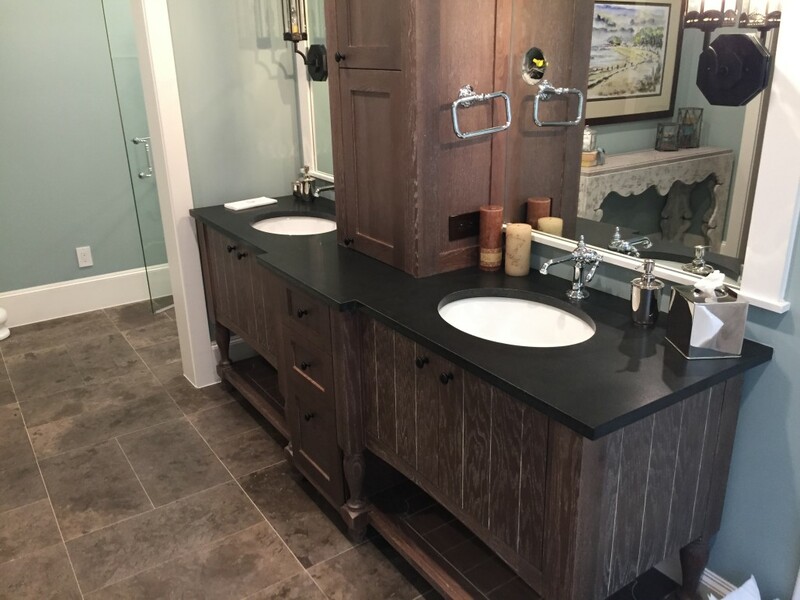 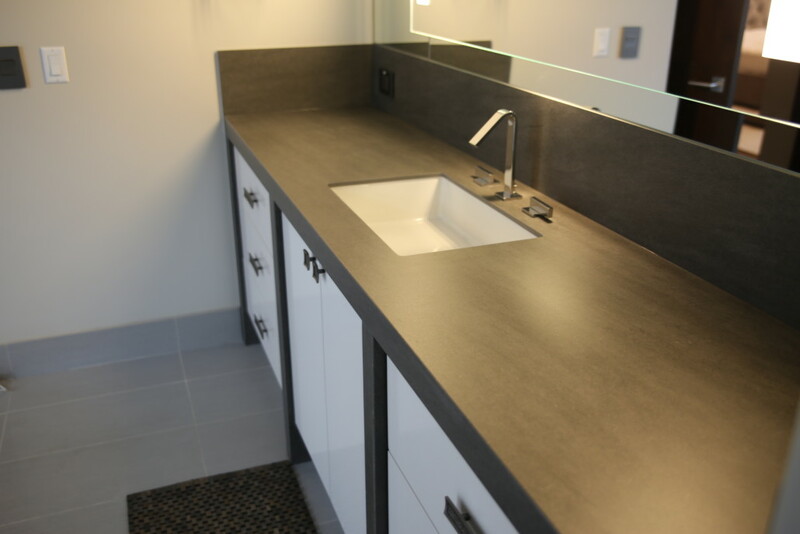 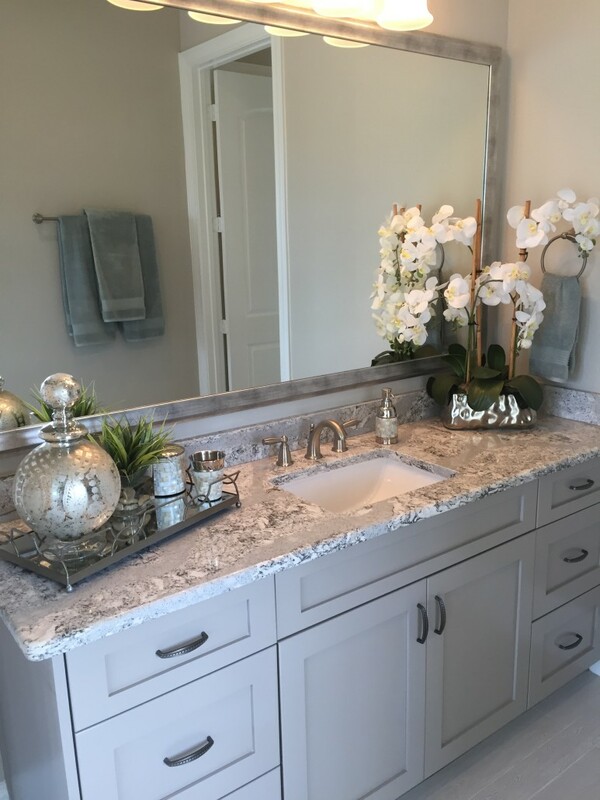 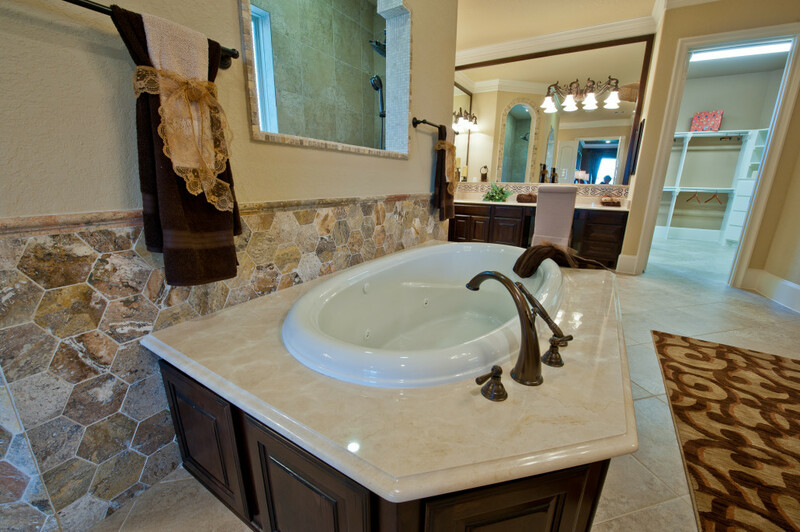 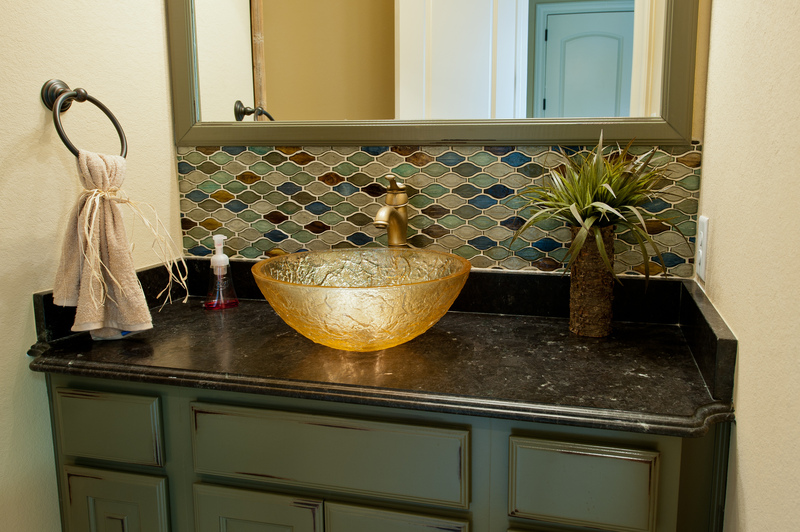 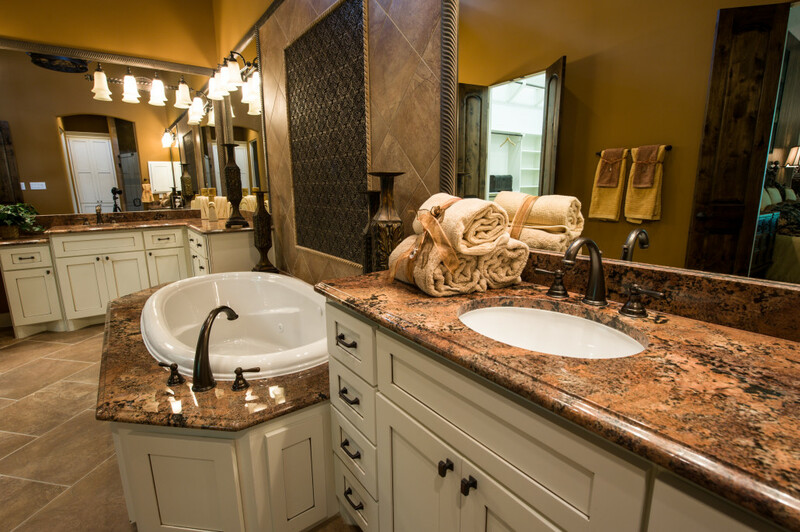 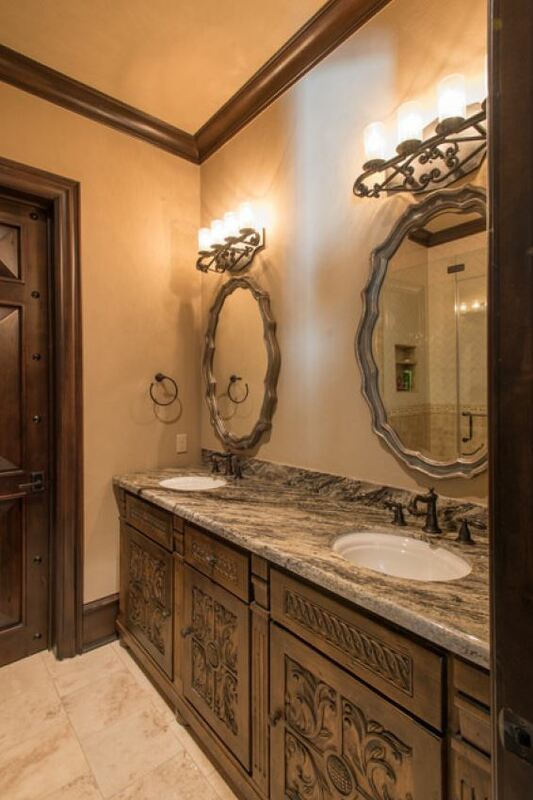 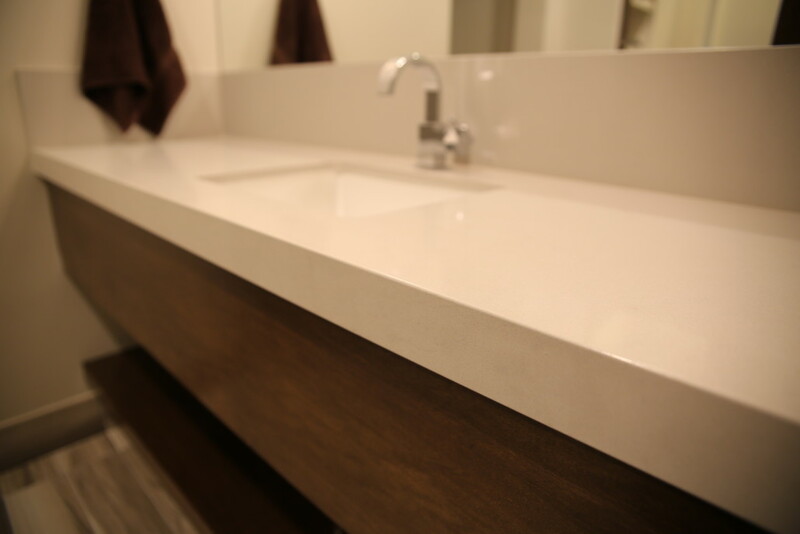 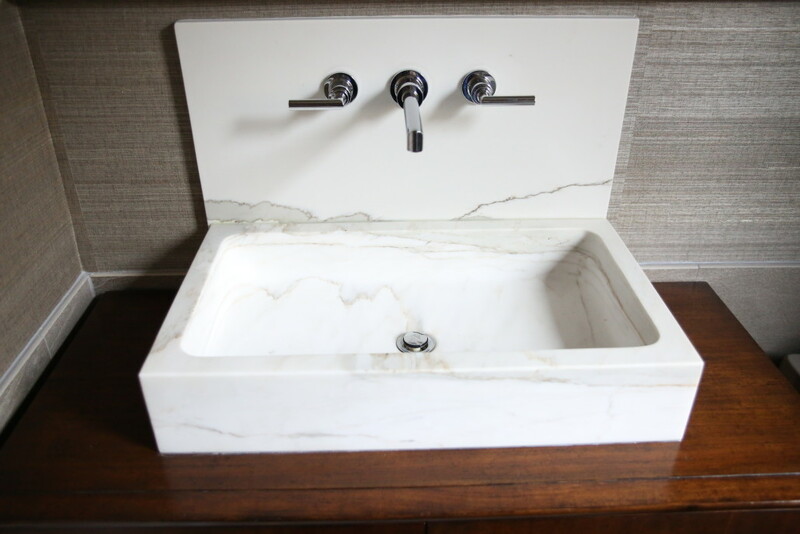 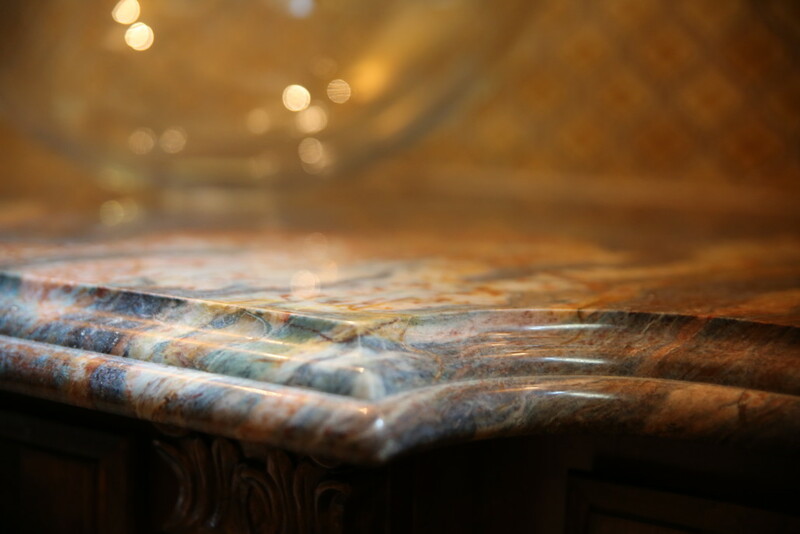 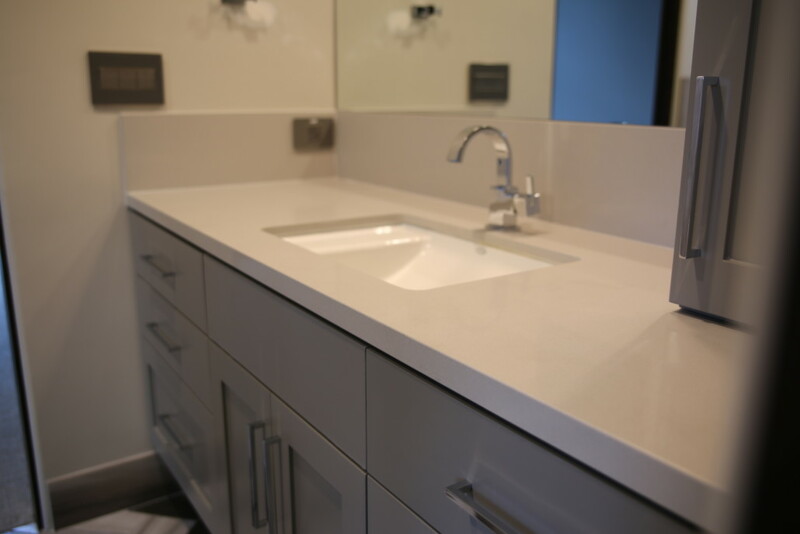 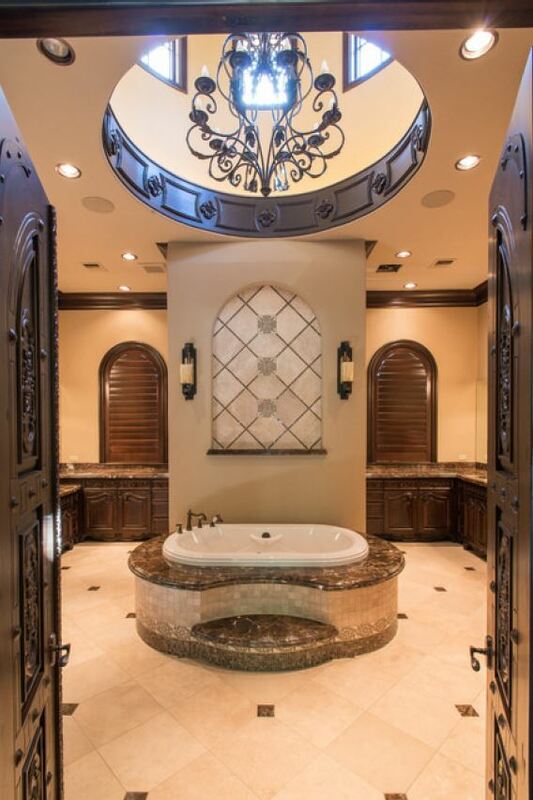 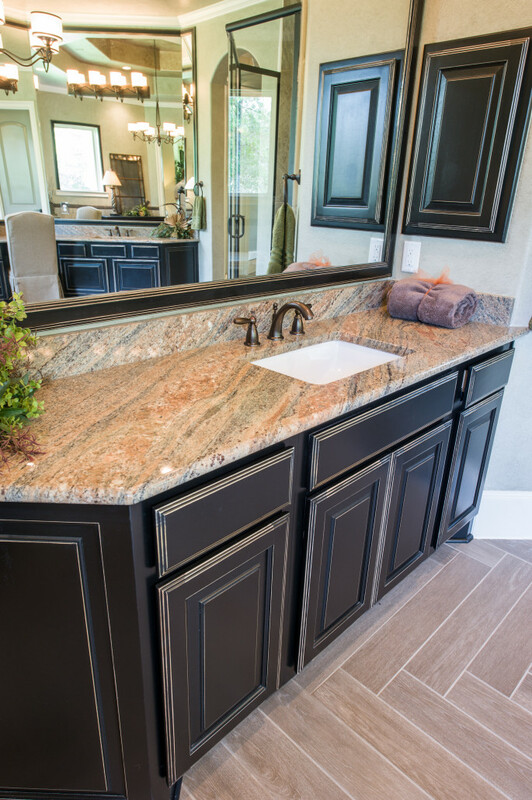 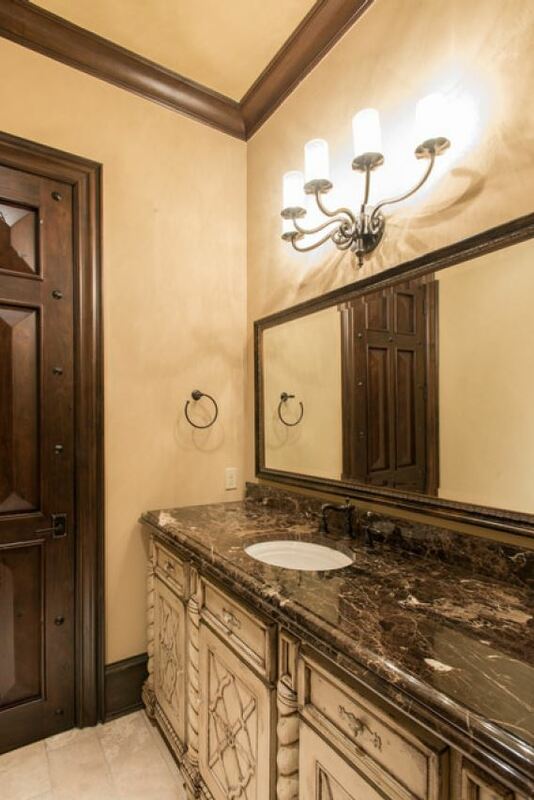 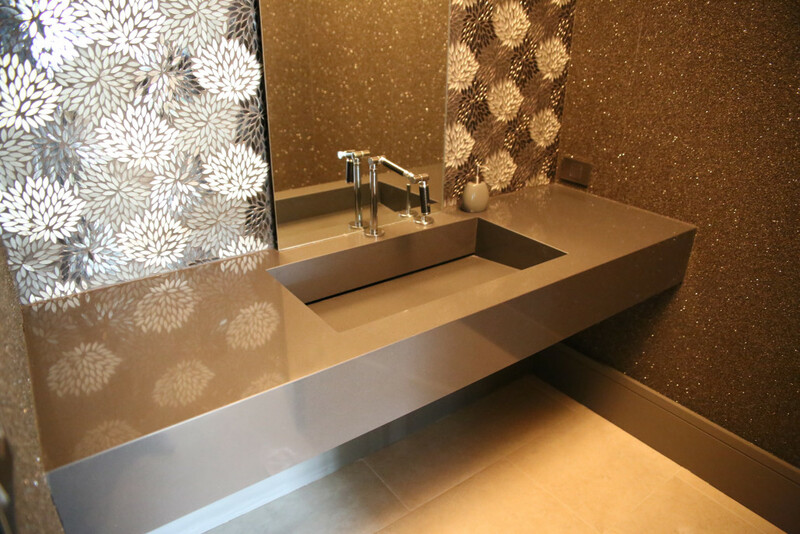 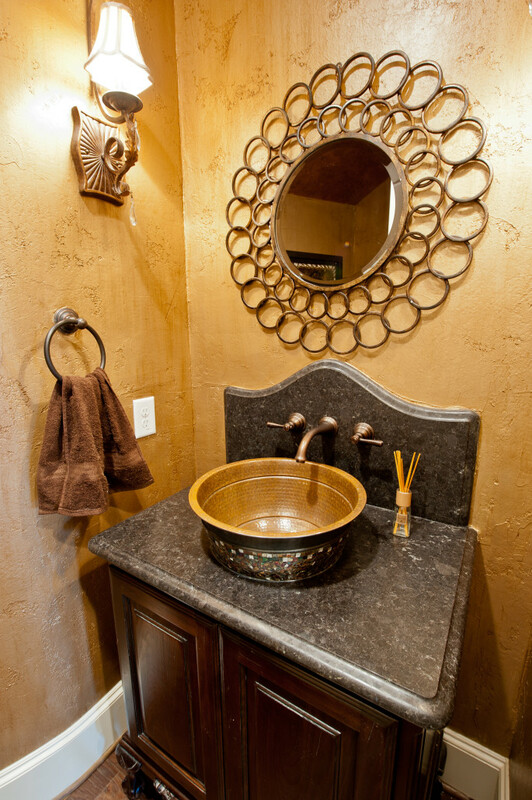 Granites, marbles, engineered stones and other stone products can add value and elegance to any bathroom. 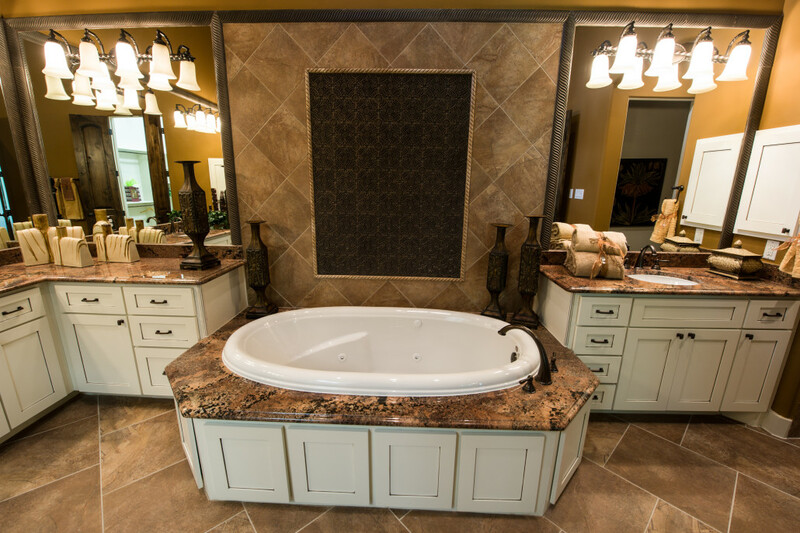 The photos show the endless options available to you.